The Allen laboratory studies the interaction between helminth parasites and their hosts. We aim to understand the function of the ‘type 2’ immune response typically induced in response to helminths. We are particularly interested in macrophages activated in the ‘type 2’ environment. We are funded by the Medical Research Council and the Wellcome Trust. Judi Allen has a B.Sc. from Bates College, Maine and obtained her PhD from University of California, Berkeley in 1991 following several years in the Biotech industry. 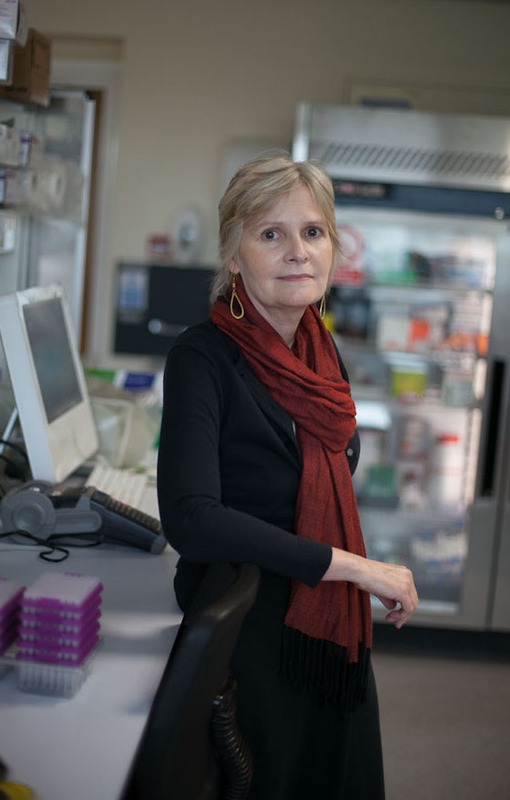 She went to Imperial College, London for her postdoc and subsequently moved to Edinburgh, where she established her own group with an MRC Senior Fellowship in 1997. In 2005, Judi became Professor of Immunobiology and in 2016 joined the Faculty of Life Sciences at the University of Manchester. Judi is a Fellow of the Royal Society of Edinburgh, a Fellow of the Royal Society of Biology and a Fellow of the Academy of Medical Sciences.